The new 2018 Audi A7 has finally been unveiled with new styling, a new interior and updated engines. The new Audi A7 also features AI tech that will be operational in 2018. 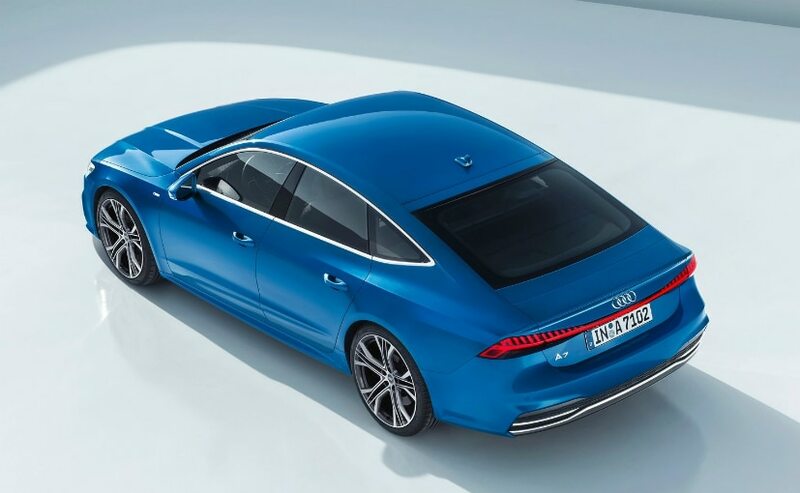 The Audi A7 is the German automaker's full sized 4-door 4-seater super coupe that takes on the likes of the BMW 6 Series Gran Coupe and the Mercedes CLS. Launched originally in 2010 with a facelift in 2014, the first gen A7 had lived out its life cycle quite well with iterations of the crazy twin-turbo V8 powered RS7. 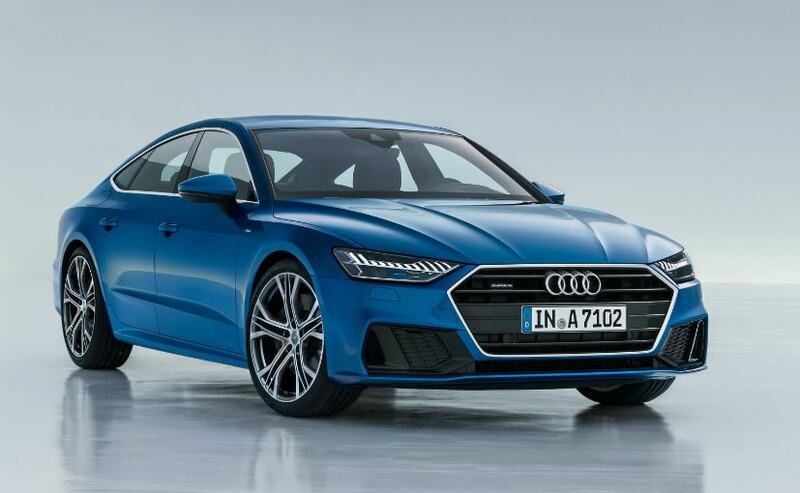 And now Audi has unveiled the second gen Audi A7 with sharper and more muscular styling that falls in line with the design direction that the likes of the new A8 and Q8 have taken. 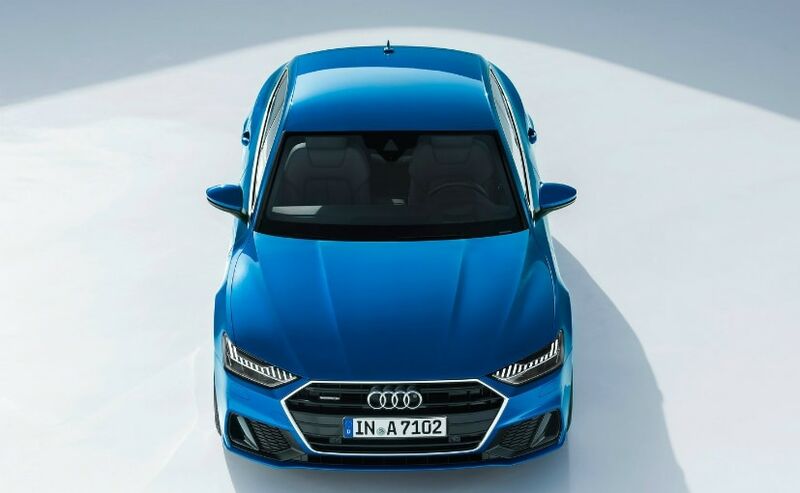 The new Audi A7 apart from packing in new infotainment, design and engine options will also be equipped with the hardware that will support Audi's upcoming AI package that is due to be launched in 2018. 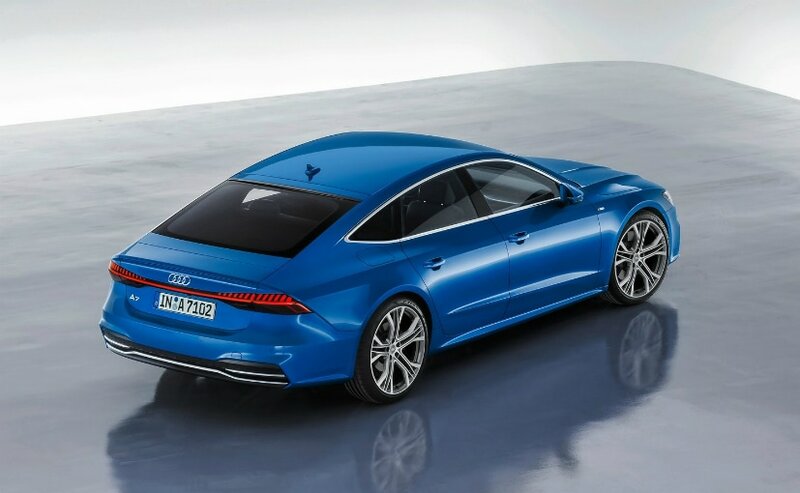 In terms of design, the new A7 is still unmistakable an A7 with a pronounced coupe like design. The roofline slopes in rather stylishly straight into the tip of the bootlid where Audi have kept the electronic rear spoiler. The front end is now much more pronounced than ever before with Audi's new single frame grille design and two large intakes on either side of the sculpted bumper. The lighting on the car though is where the A7 really looks very cool (just like the larger A8 luxury sedan). All the lights on the car are the new HD matrix LED and the headlamps itself are Audi's laser lights. The front lights get a very new and very aggressive design pattern that looks extremely detailed. A light bar connects the tail lamps to each other and the whole unit showcases a really cool graphic lighting design when the car is locked or unlocked. The brand new interior too is reminiscent of the larger Audi A8 but everything on the central console and on the dashboard is more driver focused as the A7 is after-all a more driver focused automobile. The dashboard also features an array of touch screens that respond to gesture or to voice commands instinctively (just like on the Panamera and the A8). Most of the dashboard design is hidden away in a large chunk of high gloss black that entails the touch screens and a touch sensitive panel has now replaced the older Audi multimedia interface MMI knob too. The main touchscreen that displays all the infotainment options is a 10.1-inch display while the lower half contains an 8.6-inch touch pad that controls the likes of the climate, comfort and text input settings. In terms of engines, the Audi A7 will get a 3-litre turbocharged V6 with 335 bhp and 500 Nm to begin with but expect the 3-litre diesel to make it into the car very soon too. The A7 as before will also get the Quattro all wheel drive setup and there will also be a smaller 4-cylinder petrol and diesel engine option too. The new A7 also comes with a more advanced version of the start-stop system that can shut the engine down on the car upto speeds of 22 kmph and restart it again depending on what the car in front is doing. This of course will be in conjunction to Audi's AI systems. And talking about those AI systems, Audi will offer three packages for the 2018 A7 - the Audi AI parking package (which will only be operational post mid 2018), the City assist package with the new crossing assist, and the Tour assist package. While the City assist package is to ensure that there is almost no slow speed collision either with another car or with a passing pedestrian and the Tour assist package provides help with long distance driving in terms of lane assist and adaptive cruise control, the new tech in the Audi A7 is the parking assist. To use the parking assist, the driver will have to activate the AI system by pressing the AI button in the car. This will autonomously manoeuvre the A7 into and out of a parking space or garage with the driver outside the car monitoring the entire process on the myAudi app. Although the new Audi A7 will come fitted with this tech from launch, the tech will only officially be active in 2018 as we mentioned earlier. While international deliveries for the new Audi A7 will begin soon with an expected public unveil perhaps at the LA Auto show, expect the car to make it to India sometime next year. Pricing in India should be around the Rs 90 lakh - Rs 1 Crore mark.